Crust Cruising, Views And Cupcakes! 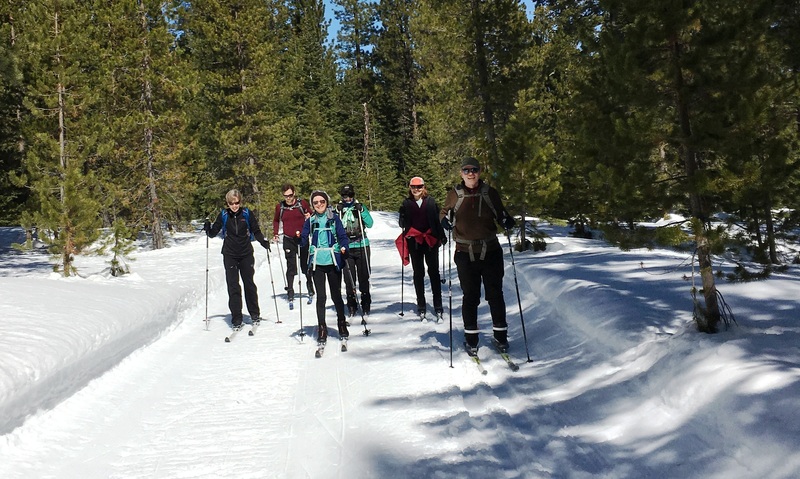 CONC skiers could do a little of everything on a sunny spring Sunday, March 17 – make turns on compressed but not icy snow, ski groomed trails, go “crust cruising,” enjoy mountain views…and eat cupcakes! 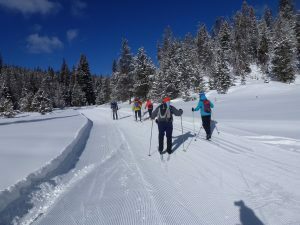 Thirteen skiers left Meissner Sno-Park with no specific destination or plan – just pick a route based on the conditions, says skier Jerry Sebestyen. 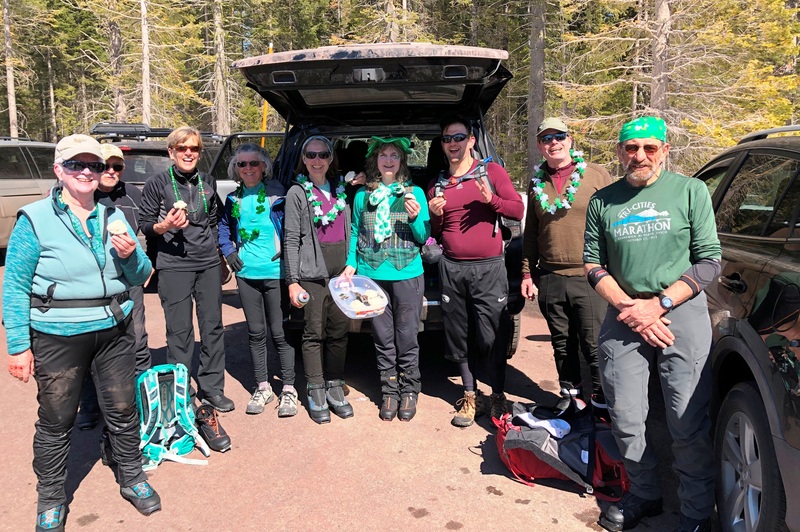 Still, after an “incredibly pleasant spring ski with a little ice early and soft snow later,” the skiers ended up back in the parking lot for a St. Patrick’s Day tailgate party, Jerry reports. Sharon Evoy made Guinness cupcakes special for the event. 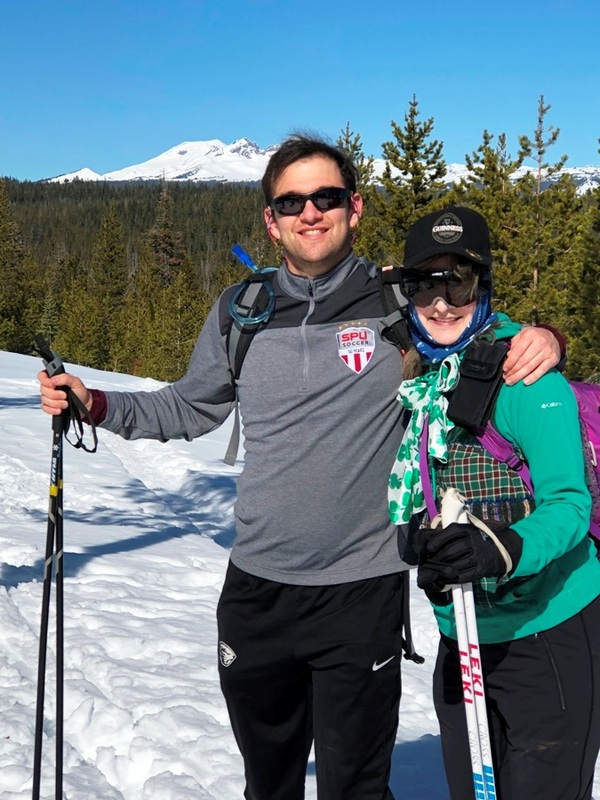 Meanwhile, Gary Kelley reports that three CONC skiers “rolled the snow dice and won,” finding good conditions while skiing the Ridge trail, Butte tie, Flagline tie, some of Flagline trail and by Swampy Lakes. Dennis Krakow offered to lead a ski on the crust at Wanoga Sno-Park but got no takers. Still, he wants to let skiers know conditions were good. 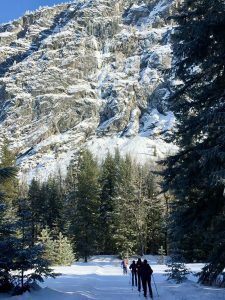 And, there are mountain views in the openings between the trees.